sm accessories: what's your summer look? 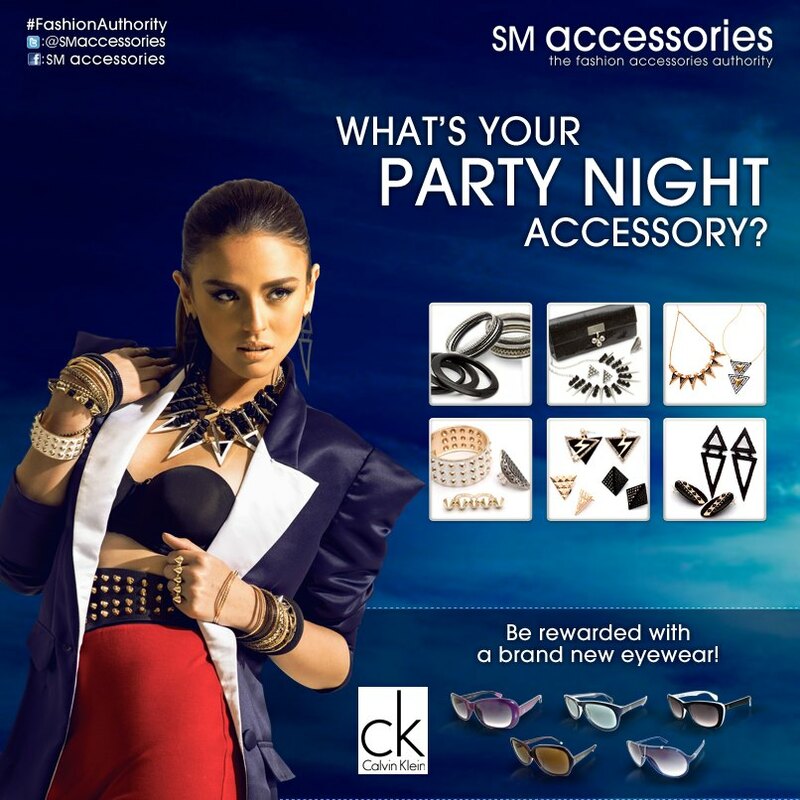 Georgina wants to know your party night accessory! Join the SM Accessories What's your summer look? to win cool prizes. Up for grabs this week are 5 pairs of Calvin Klein sunglasses. All you have to do is check in regularly with the SM Accessories Facebook fanpage for the theme of the week. Send your best photo and cross your fingers. For the grand draw, 4 best photos will be awarded with iPhone 5's!!! Eeeep! and make sure you LIKE SM Accessories on Facebook and Twitter to get updated on the latest themes!